The final trailer for the highly anticipated Stephen King adaptation Pet Sematary is here ahead of the film’s arrival in theaters this week, but you might want to consider skipping this particular video. It’s spoilery in the sense that, for people expecting the upcoming movie to be exactly like the book or the original feature adaptation, there are some big changes here. It’s also pretty spoilery in general considering that it jumps right to, presumably, the second act of the film without much build-up from the all-important, stakes-establishing and character-introducing first act. But hey, horror for horror’s sake sells these days. 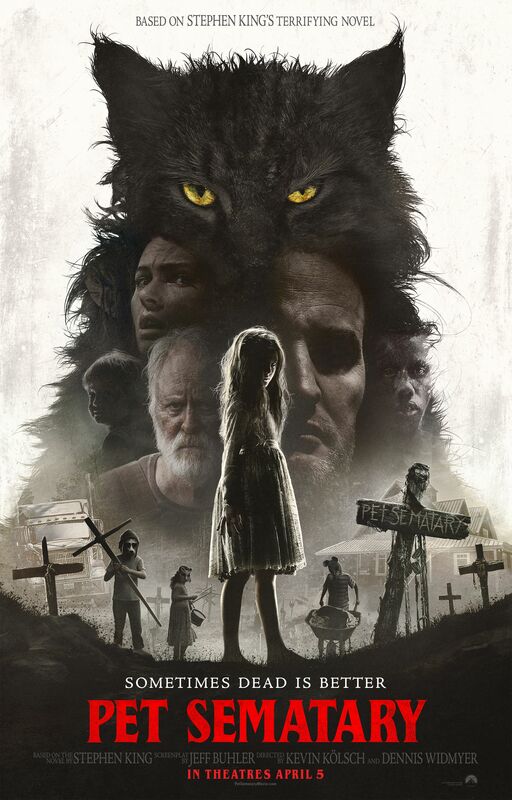 From Starry Eyes filmmakers Kevin Kölsch and Dennis Widmyer, directing from a screenplay by Jeff Buhler (Nightflyers), Pet Sematary stars Jason Clarke,John Lithgow, Amy Seimetz, Jeté Laurence and Hugo & Lucas Lavoie. Pet Sematary arrives in theaters starting on April 5th, unless you’re brave enough to stomach a late Thursday screening. Sometimes dead is better. Watch the final trailer for #PetSematary, in theatres starting Thursday night.